According to a study done by the Pew Research Center, 71% of adults who use the internet also use Facebook. Compare that to 23% for Twitter, 26% for Instagram and 28% each for Pinterest and LinkedIn. In 2015 Facebook surpassed 1.5 billion active users. 65% of those folks use Facebook on a DAILY basis. In 2011 Facebook introduced their News Feed Ads. This was a total game changer for small businesses willing to learn the ins and outs of Facebook ads. 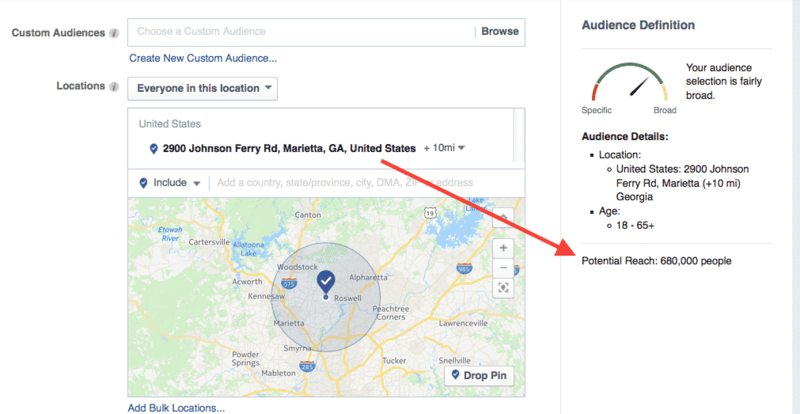 Facebook offers incredible targeting features meaning you can pinpoint who you want to see your ads, blog posts, etc down to age, gender, location and a growing number of interests. But how can you get started without wasting hundreds or even thousands of dollars? Let’s dig into the 5 Steps to Attract Targeted Leads Using Facebook Advertising. If you don’t have one already, you’ll need to create a Facebook Page. You can’t create ads with a personal profile alone. But setting up your Page will only take a few minutes. While logged into your personal account, click the drop-down menu at the top right of your profile. Then just click the “Create Page” link. Then select the type of business that describes you best. This will likely be Local Business or Place. After that, just follow the directions to complete your page and you’re done. Beyond creating a nice looking Page Header there’s not much more that will need to be done. TIP: You can design a nice looking header using the pre-made templates at Canva.com. Be sure to know your ideal client persona before throwing money at Facebook advertising. You want to have a clear picture of who you want to begin attracting. Taking time on this step will help make your ads far more effective and since you will be doing a better job with your targeting, you will also pay less in ad cost at the end of the day. Who else serves your ideal clients already? Also, taking into account any past or current clients try to identify those who pay for your top-end services without complaint and those who refer work to you. These are two important characteristics to consider and if you can identify a couple clients who meet this description you can simply use them to help answer the questions above. 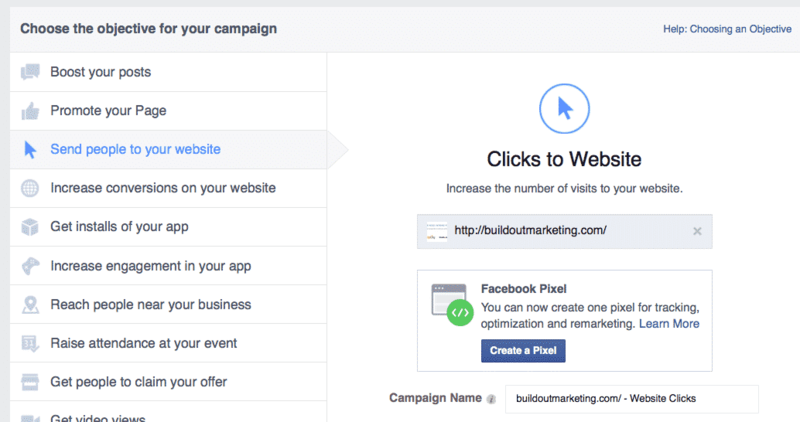 Now it’s time to dig into the Facebook Ads Manager. There’s a powerful tool called the Power Editor, but this can be a serious pain to learn so we’ll keep things simple and start with the basic Ads Manager. To get started, go to the drop-down menu in the top right of your profile again and click on the Create Ads link. Ad = your creative information such as images, headlines, calls to action and any links. In this step we’re starting with the Campaign or Objective. Facebook has garnered a MASSIVE amount of information over the past few years trying to make objectives specific enough that you can improve ad performance by selecting the proper one. In other words, don’t try to get creative. If you’re goal is to get people to your website then select the “send people to your website” Objective. And in your case, this is probably where you want to start. Unless you’re trying to get more eyeballs on a Page Post or increase your Page Likes, you’re likely wanting to send targeted leads to your website so that they can schedule an appointment, watch a video or some other call to action that will ultimately lead to a sale. Next, enter the URL address that the ad will point to when people click on your call-to-action. When you do this Facebook will give you the option to create a pixel. You DO want to do this. A pixel is a piece of script that can be added to your website allowing you to track and re-target anyone who comes to your website as long as they have a Facebook account. This is a VERY powerful marketing tool. I’ll write more about re-targeting in another post, but for now just allow Facebook to create your pixel so that you can use later. 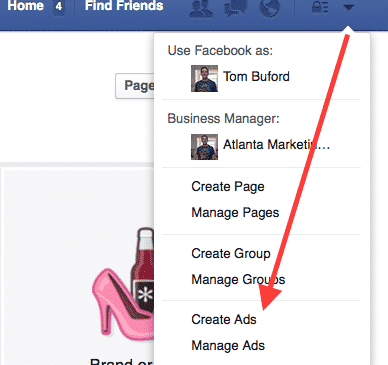 As mentioned above, the send step in the actual ad creation process on Facebook is to create your ad set. As you move forward with Facebook ads you’ll want to do a lot of split testing to find out which ads, target markets, etc are performing the best. That way you can shut down poor performing ads and amplify your best ones. So within a single Ad Campaign you might have 10, 20 or even 40+ Ad Sets AND Ads. 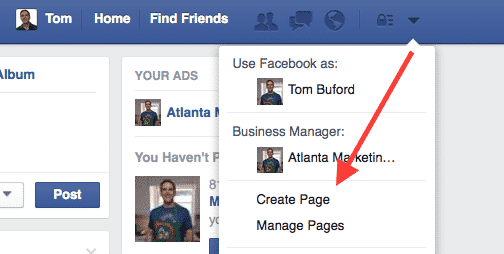 This is how you can really get the most out of creating ads on Facebook. But starting out, let’s just focus on one or two Ad Sets and maybe a couple separate ads. To create your Ad Set and Ad creative you’ll want to refer to your client persona. The Ad Set is pretty straight forward. For now, let’s ignore “Custom Audiences” and move forward from Locations. This is where it gets pretty cool. You can start targeting people who live anywhere in the world all the way down to a small radius around a specific location. In your case as a builder, remodeler or contractor you probably want to target people within specific distance from your business. In the example above, there are about 680,000 people on Facebook who live within a 10 mile radius of the address I entered. However, you don’t want your targeting to be that broad. You want to make sure that only people you feel might be ideal clients see your ads. You do this by entering demographics and interests. Start by entering an ideal age range and, if applicable, gender. Next get into the “Detailed Targeting” section. By going through some of the criteria, we’re going to narrow our search down to more targeted and ideal prospects. In the example below, I targeted people who are between 35-65+ years of age, home owners with value between $100k – $700k built between built between 1950 – 2010. As you can see, this lowered the target size to 280,000 which is still pretty large, but much more targeted than before. You should also play around with specific interests like cooking, family, etc that might really dig into your ideal client persona. If you’re a kitchen remodeler then targeting families with an interest in cooking and home entertainment could be a great start. Get creative and always remember to test. The final part to the Ad Set is setting your ad budget. I recommend starting low and building up as you go. $10 a day (or maybe even less) should give you some good data and response to get going. For bid amount, I recommend that you keep it set for “Automatic” so that Facebook can try to get the best price for your clicks. Once you get more comfortable with the process you can try some more advanced strategies. Right now, let’s just keep this simple. Now it’s time to create your actual ad which will include an image, a headline, some additional ad copy and a very specific call-to-action. Facebook currently gives you the option to have a single image show in your ad or to display up to 5 images in a carousel format. In most cases you will want to choose the single image format, but there certainly could be times when the carousel format will work great. 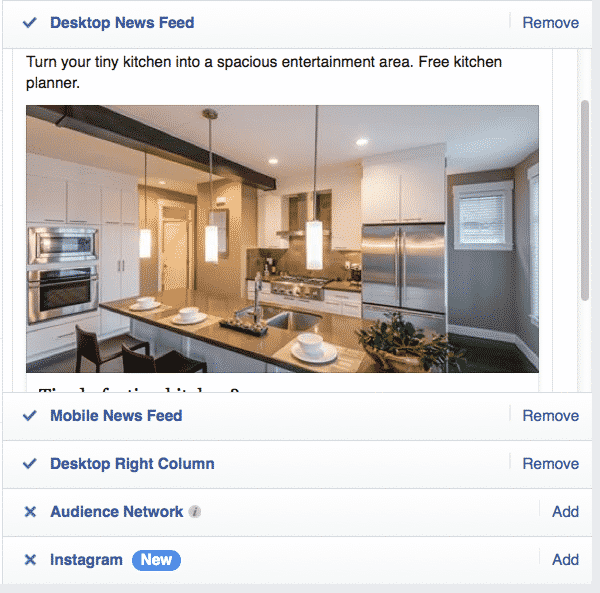 For instance, if you are highlighting a few remodeled kitchens, bathrooms, etc it might look nice and grab attention to utilize the carousel format. Next you’ll select the actual image(s) to be used for your ad. Note: You can also use videos in your ad. Video ads perform incredibly well, but unless you have videos ready to go, let’s stick with images. You can select images that you already have or choose from stock images within the Ads Manager. Be sure to always keep up with Facebook’s terms and conditions regarding images even when using stock images. The stock images are supplied by a 3rd party and not all of them are compliant with Facebook rules. You’ll note that ads may not include images with text that covers more than 20% of the image’s area. To test an image you can use their “Grid Tool” here. 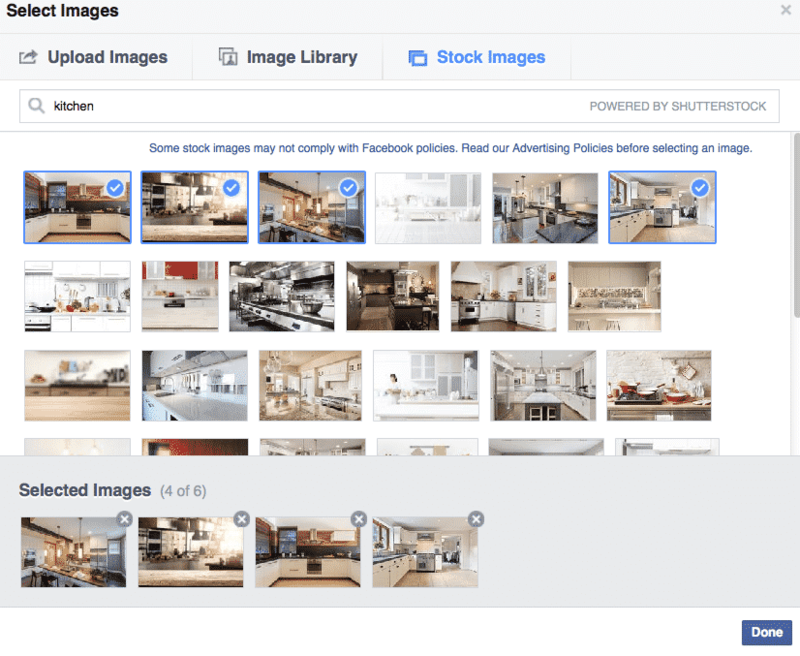 As you’re adding images, you’ll notice that Facebook will allow up to 6 images for a single ad. This is something that you definitely want to take advantage of. Facebook will run the exact ad copy, call-to-action, etc and rotate out the images. They will test which images are getting the best response and stop showing the lower performers. Once you’ve selected an image that represents your ad intent it’s time to create a headline. Your headline should address a specific problem, concern or goal that your ideal client has. Remember to refer back to your Ideal Client Persona exercise from step #2. Boom. Now you have their attention. Next you have the text that appears below the image. Now when someone clicks on the call-to-action button in your ad they will be taken to your website where they can download a free Kitchen Planner. You might also just tell them to call for a free consultation. Again, be sure to test, test, test. The great thing is that as you’re creating your ad you’ll see an Ad Preview to the right hand side of the page showing you the changes. 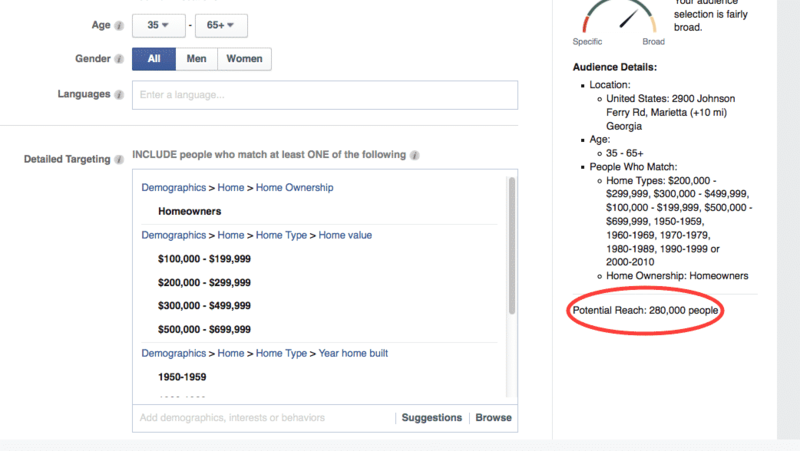 Now you want to select where your ad will show in Facebook. I don’t recommend selecting the “Audience Network” option. You will typically want to test out Desktop News Feed, Desktop Right Column and Mobile News Feed. TIP: Be sure that your website is mobile friendly if you’re testing Mobile News Feed ads. I highly recommend, for many reasons, that you ensure your site is mobile friendly. But particularly if you’re getting started with Facebook Ads. The majority of Facebook views now come from mobile devices which means if you DO send folks to your site from a mobile device and they immediately bounce off because it’s not mobile friendly then you just wasted ad expense getting that visitor to your site. Now all you have to do is review your ad and place your order. It might take as long as a day to get your ad approved, but it’s usually just an hour or two. When you start off, be sure to give your ad an end date so that you don’t run into unnecessary expenses. Review your ad response and test, test, test. Even the best Facebook advertisers have ad flops. Don’t expect that every one will be a home run. That said, this is an amazing opportunity to get your business in front of highly targeted leads. If you’d like any help with this feel free to reach out for a FREE Facebook Advertising consultation.